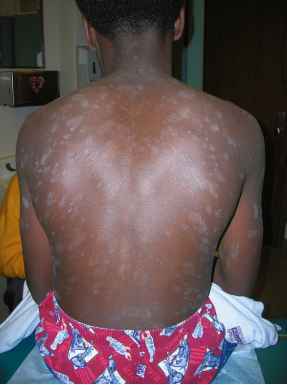 Figure 33-25 Pityriasis rosea with "Christmas tree" pattern on back. Figure 33-23 Generalized pustular psoriasis presenting as erythroderma. 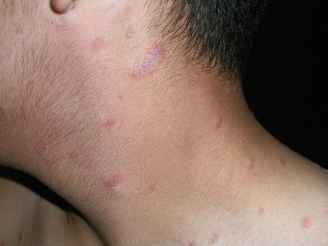 severe; zinc oxide, calamine lotion, topical steroids, and oral antihistamines are usually helpful. 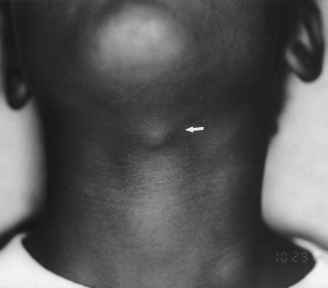 Systemic steroids are generally not recommended. Ultraviolet (UV) radiation and erythromycin have been used with varying results. Because no bacterial cause has been associated with the disease, the likely effect of erythromycin is a result of its anti-inflammatory properties. Postinflammatory hyperpigmentation may occur with UVB radiation therapy, so some experts recommend against its use. High-dose acyclovir (800 mg qid) may help shorten disease, especially if instituted early in the disease course, but studies are limited. Patients should be reassured about the self-limited nature of pityriasis rosea. Persistence of the rash or pruritus beyond 12 weeks should prompt reconsideration of the original diagnosis, consideration of biopsy to confirm the diagnosis, and questioning the patient again about use of medications that may cause a rash similar to that of pityriasis rosea.